The internet has become an essential tool in our lives and it has changed how, amongst other things, we communicate with each other, plan our finances, shop around and conduct our work. The continued growth is driving Internet Service Providers (ISPs) to continuously place innovative and ever more competitive service offerings on the market, resulting in increased choice for customers and an overload of information to review before taking up a service. This dependency on the internet makes it even more important that we become more aware about the infrastructures that connect us to the internet, the factors to consider before subscribing to an internet package, how to enhance the quality of the service and our rights and obligations. This section provides helpful information and tips about these aspects and more. 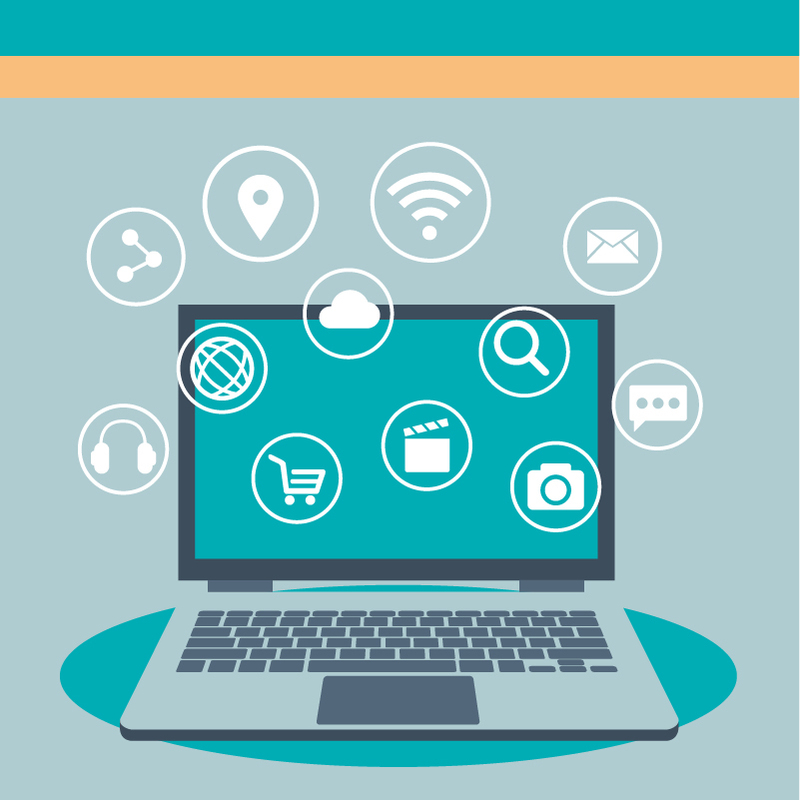 Internet Service Providers (ISPs) offer different packages that cater for the different needs of consumers. Before subscribing to a fixed internet package, there are a whole range of factors to consider. Alongside cost and contract duration, you will have to think about the download limits and internet speeds which best suit your needs. The most important aspect to consider when choosing an internet package is what type of activities you will be engaging in whilst using the internet service. Below you may find further information and tips you should consider before taking a decision. What type of internet package do I need? With such a vast range of super-fast and standard broadband packages to choose from, it is important that you first establish what type of web user you are. To help you take an informed decision, we have matched the type of broadband products that would be most suitable to different web users. If you intend to use the internet just to check your emails and browse websites, it is advisable to choose an entry-level broadband service. This way, you will avoid paying for super-fast speeds that you may not need. Keep in mind that high-end internet speeds may not be available in all areas around Malta and Gozo. It is important that you seek advice from service providers when choosing a package. If you regularly stream videos, download large files or are a big enthusiast of online gaming, you will probably require an internet package which has an unlimited download limit and fast speeds that support this kind of activity. The same applies to households in which a number of different persons are likely to access the internet regularly and simultaneously. Depending on the type of business you run, you may wish to subscribe to one of the packages exclusively designed by service providers for business users. These packages would normally include additional features (such as static/fixed-IPs, additional email accounts, etc.) which could be necessary for the type of business you operate. Indeed, a number of service providers would also be able to propose tailor-made solutions to fit the needs your business. 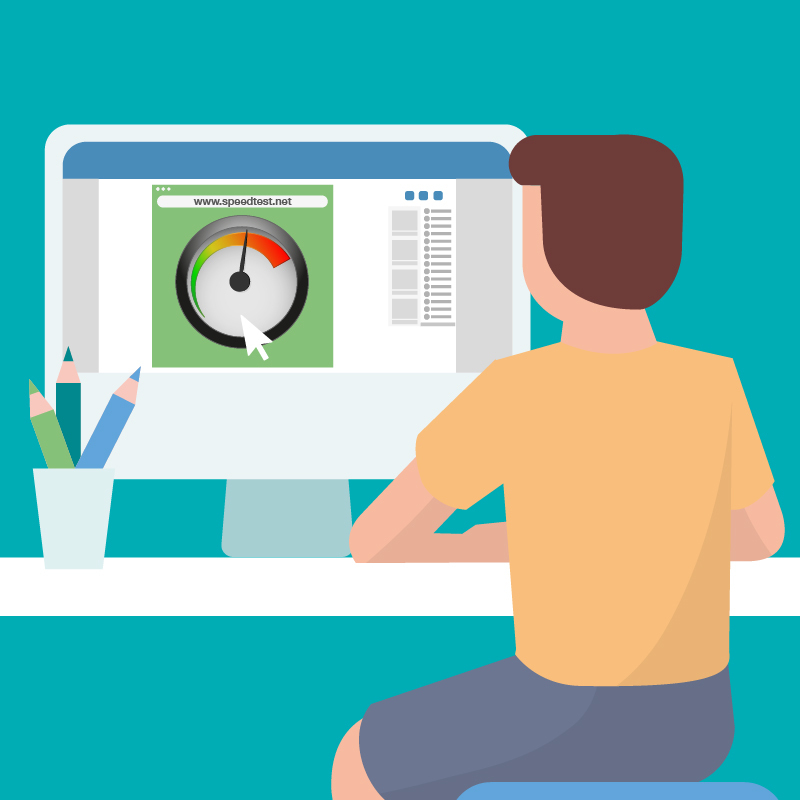 The download speed indicates how fast you can retrieve data from the internet, such as when reading an email, streaming a video or downloading a file. On the other hand, upload speeds indicates how fast you send data from your device to other devices, such as when sending files via email, using video-chat, publishing pictures on social media etc. You will notice that most connections are designed to download data much faster than they upload, since this activity is more common and frequent than the uploading activity. Which fine print should I look out for before subscribing to an internet package? Besides taking note of the maximum download and upload speeds that a particular package may reach, you are advised to look out for the ‘TSR’ short for ‘Typical Speed Range’ which provides a clearer indication of the speed performance that you are most likely to achieve when subscribed to that package. These speeds are measured in megabits per second (Mbps). Your ISP may set a download limit for a particular package and if you exceed that limit, your access to the internet could be considerably restricted, or even cut off. This does not apply if you are subscribed to an unlimited data package. Keep in mind that download activity is measured in megabytes (MB) or gigabytes (GB). Besides these, there is more relevant information (such as the periodic rental fee, installation costs, duration of contract, etc.) that you need to be aware of, before subscribing to a package. Click here to visit the MCA’s FAQ section entitled ‘Subscribing to an Electronic Communications Service’ for more information. When we go online we expect to be able to access all internet content without any blocking, throttling or discrimination of traffic. Net Neutrality rules primarily protect your right to do so. Below you may find further information on this subject. Net neutrality, also known as the ‘Open internet’, is the principle of ensuring that you control what to access and publish on the internet, without any restrictions. This means that an ISP must treat all traffic flowing over its network equally, irrespective of the content, the owner of the data, its origin or destination. Does this mean that ISPs cannot implement traffic management measures? Proportionate (Any measures shall be implemented solely in order to maintain efficient use of the network and such measures shall only be reverted to where no other equally effective alternative way for managing the traffic to achieve this aim is available). In implementing such measures, service providers must always treat equivalent categories of service equally. Are there any additional circumstances in which the ISP may implement internet access restrictions? prevent impending network congestion that occurs temporarily and under exceptional circumstances (e.g. congestion caused by a sudden and abnormal increase in the demand for specific content applications or services when compared to the average demand). Where can I obtain further information about the traffic management measures adopted by service providers? Internet Service Providers (ISPs) are required to publish information on how the traffic management measures they adopt might impact on the quality of their internet service. This information is required to be included in the terms and conditions of subscriber contracts which are also available on the ISPs respective websites. What other information is the internet Service Provider (ISP) required to publish? Any remedies applicable in the event that the performance of the internet service is inferior to the performance agreed to in the contract. Please visit MCA’s FAQs titled ‘Subscribing to an Electronic Communications Service’ for further information on additional material that needs to be included in the terms and conditions of subscriber contracts. Which entity is responsible from enforcing the open internet access Directive locally? The Malta Communications Authority is the entity responsible from monitoring and ensuring compliance with the requirements set out in this Regulation, in particular to promote the continued availability of non-discriminatory internet access services at levels of quality that reflect advances in technology. For further information on this subject, you may contact us on 21336840, or send an email to customercare@mca.org.mt. Where can I find additional information on the rules regulating open internet access? Regulation (EU) 2015/2120 of the European Parliament and of the Council of 25 November 2015 laying down measures concerning open internet access can be accessed from here. The Body of European Regulators for Electronic Communications (BEREC) Guidelines on the Implementation of European Net Neutrality Rules can be accessed from here. These guidelines were published with the intent to provide guidance to the National Regulatory Authorities on the implementation of the obligations set in the above-mentioned Regulation. One of the greatest things about the internet is that it is a global collection of networks, both big and small, connected together in many different ways. In fact, the very name comes from this idea of interconnected networks Malta is connected to the rest of the world by means of four submarine cables via Sicily. When it comes to connecting your devices to the internet at home, you can choose between a wired and a WiFi connection. This section provides a brief explanation of these two types of connections and provides some tips that will help you enhance your internet quality of service when connected via a WiFi connection. A wired connection uses a cable to connect your device/s to your service provider’s modem. To connect your device to the internet you need an Ethernet cable…. and from the other end to the Ethernet port on your device. A number of devices such as tablets and mobiles can only be connected to the internet by means of a mobile connection such as 3G and 4G provided by your mobile network operator, or through a WiFi network which you may install at home, or which is found publicly available. This guide focuses solely on WiFi installations. A WiFi connection enables you to access the internet whilst moving around freely within the area of the network. A WiFi connection is typically available indoors and is intended to provide coverage within a building. A typical home set-up consists of a single WiFi enabled modem intended to provide a signal to a large extent of your home. In some cases, you might need to install multiple WiFi access points, however special precautions are necessary to ensure that these do not interfere with each other and thus restrict the coverage and/or degrade the performance of the setup. To set-up your home WiFi system, you will need to have a wireless access point. Most fixed ISPs provide their customers with a WiFi enabled modem. Follow your WiFi enabled modem's guide and setup your WiFi network name (SSID) and password (WPA). Make sure you set your WiFi enabled modem to operate in the correct region, i.e. either Malta or Europe. 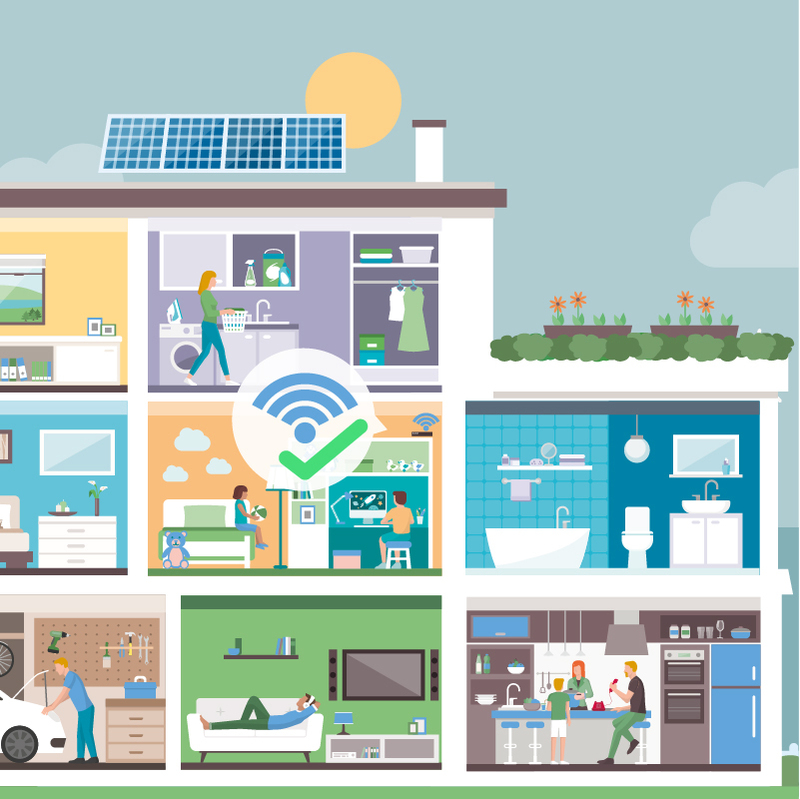 However, you should note that whilst setting up a WiFi network is not so difficult and most non-technical users are able to self-install a WiFi connection at home, some scenarios which are typically complex may still require the assistance of a qualified technician. If you are experiencing a poor internet connection when connected via a WiFi network, you need to first see whether the problem is originating from the connection provided by your ISP. All you need to do is test your internet connection through a wired connection. If this works, then it is possible that the problem relates to the WiFi setup. The below tips may help you improve your internet user experience whilst using a WiFi connection. Place the WiFi enabled modem in a central location of your home, preferably in an open space, such as a hallway. This will make your WiFi enabled modem equally accessible from all parts of the house and thus, all areas should be equally covered. Place the WiFi enabled modem in a high position such as on top of a cabinet or a shelf. This will help the WiFi signal to achieve the maximum coverage possible. Do not place the WiFi enabled modem inside cupboards or in enclosed shelves since such furniture would absorb and hence reduce or block the WiFi signal. Try not to place the WiFi enabled modem near windows so that you maximise the signal within your house, rather than waste a portion of it outdoors. Try not to place the WiFi enabled modem in an area surrounded by metal objects, as these may interact with your signal. If you intend to upgrade the firmware of the WiFi access point or any of its components such as its antenna to, for example increase your WiFi coverage, please make sure that such changes will not alter the radio frequency transmission paratmeters of the system. This is important to ensure that your system will remain compliant with the current Regulations. If in doubt, you may wish to consult with the Authority or a qualified technician. To increase your wireless coverage, you can also consider the installation of multiple WiFi access points. These may take the form of a WiFi router, or a WiFi extender, amongst others. The installation of these devices is tailored to the property they need to cover and, in some cases, the assistance of a technician is required to optimise the placement and configuration of each device to ensure that these do not interfere with each other. When setting up a WiFi connection, you must ensure to implement certain security measures, such as using strong encryption and changing the default passwords of the WiFi enabled modem. Standard practice related to the complexity of passwords and their protection are also applicable to WiFi networks. It is also advisable to maintain all the software of devices using the network and setting up the network updated using the latest vendor updates. It is also equally important to make appropriate use of firewalls and other standard safeguards to protect the home network. Such measures help to reduce the risk of anybody else in the vicinity being able to access your home network, potentially harming your network and possibly even your reputation if illicit activities are carried out using your connection. All Internet Service Providers (ISPs) are committed to deliver a service in accordance with the service levels agreed to in your contract. However, this does not mean that the service is fault-free and whenever you experience a problem, there are a few steps you may need to follow to solve your problems. The following guidelines will assist you whenever you encounter such issues. The first thing you need to check is that all the equipment provided by your ISP is correctly plugged in and switched on. If you are still experiencing an issue and you have a complete service shutdown, you should contact your service provider to report the fault. The issues causing faults may vary and could include, amongst others, network outage or network failure; damages to your internal wiring; damages to your modem; misuse; force majeure; interference; etc. If you experience slow internet speeds you may need to conduct a few internet speed tests before contacting your service provider. Try to use different devices when testing your speed attainability. Log on to www.speedtest.net using your browser and run a few speed tests to achieve a more accurate picture of the quality of your service. 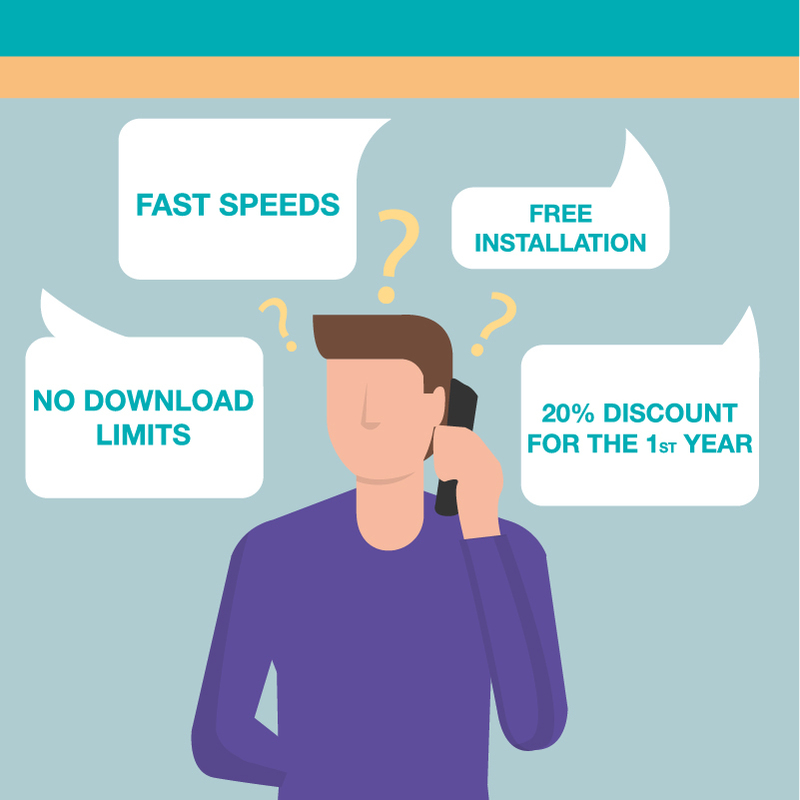 If it results that the attainable speed is lower than the typical speed range as specified in your contract, you should contact your service provider. The ISP is responsible to ensure that your issues are addressed in the shortest time possible and should be able to advise you on how and when your service will be restored. Your ISP will first try to diagnose your technical problem remotely however, when this is not possible, a technician may need to visit your premises to conduct further tests. Not all providers charge for technician visits however, some ISPs may apply charges if it results that the fault originated due to factors for which they are not responsible. Therefore you should enquire about this point with your service provider when setting an appointment for the technician’s visit. Most ISPs may also offer temporary alternative ways of accessing your service (e.g. mobile data dongles) particularly when the fault restoration may take some time to be completed. Remember to enquire with your service provider about these options when reporting the fault. If, after having gone through your service provider’s complaint handling procedures, you remain unsatisfied with the response and/or solution offered by your service provider, you may refer your complaint to the MCA. The extent of the action the MCA can take in relation to a complaint depends on the particulars of the issues involved and on the MCA's relevant legal powers. The MCA will follow-up your matter with your service provider until the necessary remedial action/s are taken. During this process, the MCA will provide you with all the relevant information on the matter, so that you will have a better understanding of what your service provider’s obligations are, what your rights are and the possible courses of action available to you. Service providers publish the maximum timeframes they implement to address arising faults and the compensation and refund arrangements made to subscribers who experience a fault. Service providers may agree to offer you additional compensation, depending on the nature of your fault. If however, you are still not satisfied with the redress provided, you may file a claim before the Consumer Claims Tribunal. This Tribunal is empowered to determine disputes between customers and traders.